It happens to every single one of us who are fortunate enough for it to happen. We get older. Moment by moment, day by day, year by year… and hopefully, decade by decade. Personally, I am planning on being around for a long time. I’m already in what I refer to as “Bonus Time,” after a health scare over 15 years ago. One of my things to do is look for “aging mentors.” These are people who are older than me, at varying levels, who seem to be doing it right. Not so much in the fact that they are still alive, as in how they live. Ron Kaiser is one of those guys. 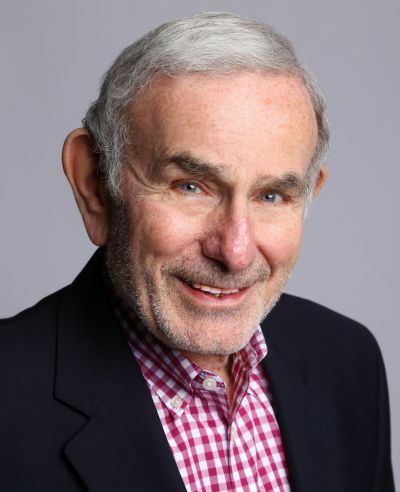 81 years old, still a full time psychologist, still doing yoga and exercising, still engaged in learning… still engaged in living. Recently, I had the good fortune of interviewing Ron. He and I met at a conference and I said, “I have to get you on Thriveology. Your information is important at any age!” And now, I have. Be sure and listen in to the interview below. 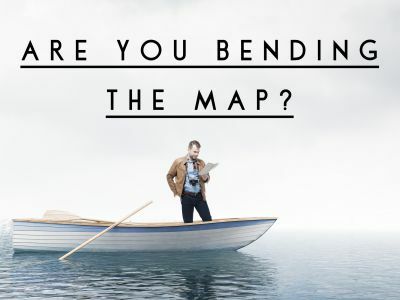 Are You Bending Your Map? Did you know that it is common to find a lost person with a broken compass? No, they are not lost because their compass was broken. They broke their compass because they didn’t believe the compass. They believed they were somewhere other than where the compass said. And many times, they decided that the map they were using was also wrong… and they were right. Survival experts refer to this as “bending the map.” They are trying to force their map to match what they perceive, rather than letting the map inform their understanding of where they are. Guess what? It doesn’t just happen in survival situations. We do it every day. We bend our perceptions to match what we want to see… not what is there to be seen. And we often find ourselves way off-course. So far off that we might have just compromised our values. The good news is there are some simple ways to keep this tendency in check. This is a skill we desperately need these days. Listen to this week’s episode to learn how to not bend your map! We always start at survival. You have to survive to do anything else. 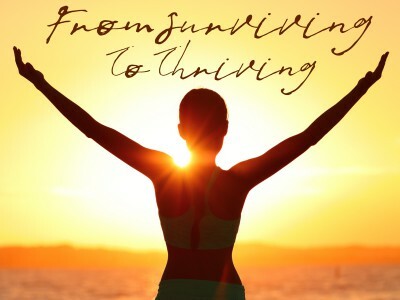 Surviving is based in dealing with scarcity and threats. Sometimes, people get stuck in survival mode… whether it is necessary or not. For most people, survival mode is less a necessity and more a habit. Then, we live. Living is about finding comfort. People to support you, work to do, things to enjoy. And for many people, this is the stage that feels like success. The paycheck and opportunity gives enough comfort to enjoy life. So, many people get stuck in the live mode. But then, there is the opportunity to thrive. What makes the shift? Realizing that the living isn’t enough. There is something more. Something deeper and more satisfying. 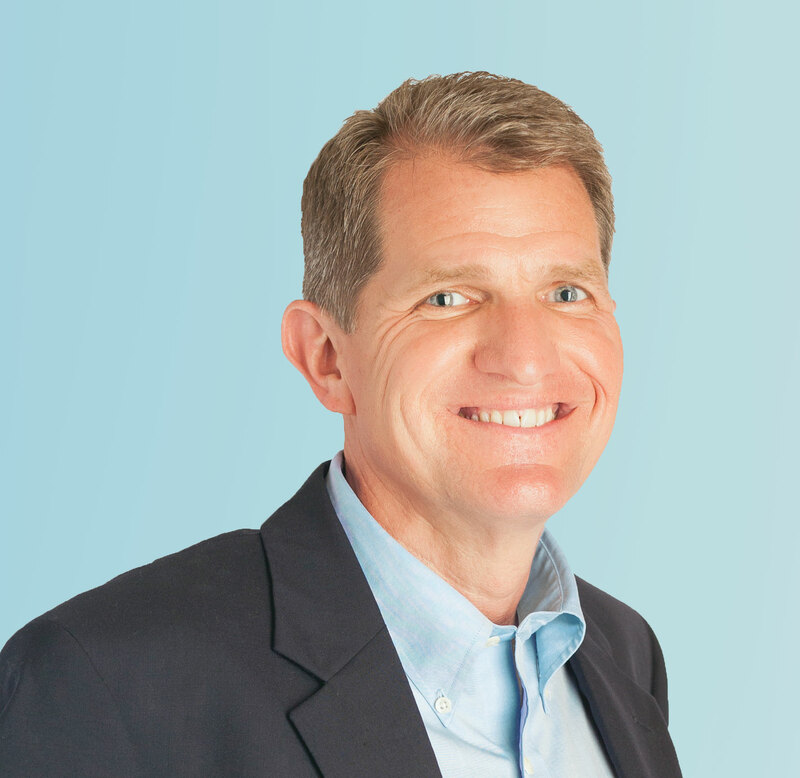 It’s about finding your purpose, finding your deeper meaning, making an impact in the world. It requires taking on the challenges, looking for the opportunities… growing and stretching. 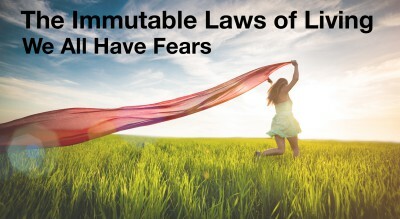 While surviving is about scarcity, living is about comfort, thriving is about abundance. It isn’t a change in what is around you, as much as a shift in perspective. Listen to this week’s episode to learn more about making the shifts. Wouldn’t it be nice if you had a built-in detector that let you know when something is important? Kind of like a treasure detector to point out when to pay attention and dig in? But you probably aren’t using it the way it was designed. Most people aren’t. 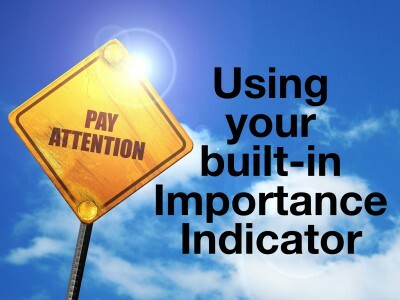 In fact, most people use this indicator as an Avoidance Indicator — using it to AVOID things, even important things. Used correctly, this built-in indicator will help you decide what is important and what is trivial. It will also guide your choices. Used incorrectly, and it will keep you stuck, small, and missing opportunities. Ready to learn how to use it? Listen below. . . This week, I want to draw your attention to your thoughts. Really, I want to draw attention to the fact that your thinking is also habitual. Not all of your thoughts. But how you think and many of the thoughts are really habits. Those thought habits can either keep you stuck or push you along, depending on the habits. Do you notice that you think the same way, over and over? Or perhaps you notice you think the same thoughts over and over. Those are thought habits. Once those habits start, they become invisible. Your thoughts keep following the same pathway (in fact, the same neuronal pathway). 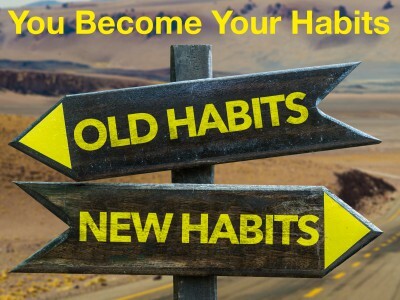 Thought habits only change when they are seen as habits. Let’s make those thoughts thriving thoughts! 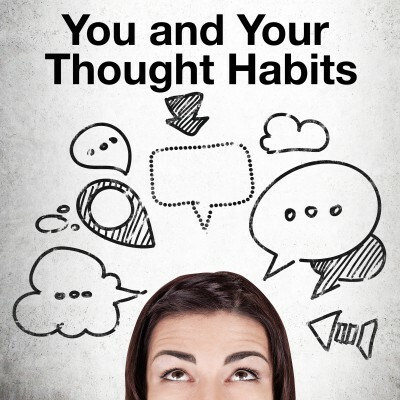 Listen below for how your thoughts are habits and what to do. 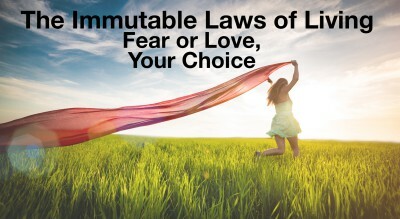 Fear or Love; Your Choice! Your brain certainly affects your thinking. But your thinking affects your brain. . . and you can CHOOSE where your thoughts dwell. Brain chemistry is much more complicated. And we know very little about how that chemistry works, anyway. What we DO know about the brain is there are three layers. The most primitive and deepest part of your brain scans the environment for threats — locking you into a fight/flight mode when it is activated. The next layer is all about emotions. And the top layer is about thoughts and reason. We like that part. But we often forget about the other layers. Those other layers can keep us stuck, though. Let’s talk about your brain and your mind. Let’s discuss how to shift to Love/Appreciation — or you default to Fear/Threat. Fear is wired into our brain. And there isn’t any way to unwire it! Which is probably for the best. Sometimes, fear keeps you from doing something foolish. It helps to keep you alive. But it can also keep you stuck. And the #1 most common response? Fear does not serve us well when it holds us back. “I’m so stressed out,” has become a very common refrain. But what does that mean? Have you paused for a moment to wonder, what is behind that idea? We all have moments of feeling a bit overwhelmed and frazzled. We all have times when we react to some event. Our body comes along for the ride. Adrenaline spikes, headaches strike, stomachs get upset, palms get sweaty. . . our body goes into Fight/Flight mode. Not a pretty picture, and not very fun. We all have our coping strategies. Some are helpful and healthy, others — not so much. Some people crawl under the covers and hide from those events. 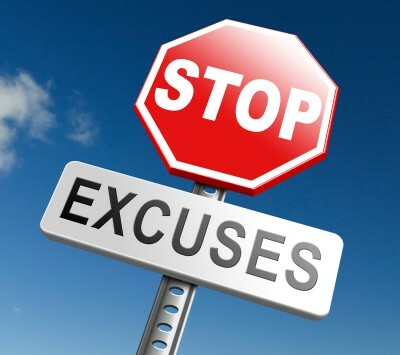 Others rely on a few choice substances to forget those events or at least numb the body. But some have found other, healthier, ways to face the events, understand their response, and move through the responses. They experience the same event but learn to move through healthily and helpfully. Let’s talk about the truth of stress — and how to deal with stress effectively , but healthily. Do you get the rest you (and your body) need? Most people don’t. Research on sleep reveals that almost 50% of people say they do not get enough sleep. And your body takes a toll for this. Slower healing, chronic disease, fuzzy thinking, physical decline, and even weight gain, all have been tied to a lack of adequate sleep. Here is the painful truth: if you are skipping on sleep, you are most likely just borrowing that time from the end of your life. The more chronic your sleeplessness, the higher your chances of suffering from sleep-related health issues. So, let’s talk about why you need sleep and how to get it. And how to better quality sleep, the you do sleep. 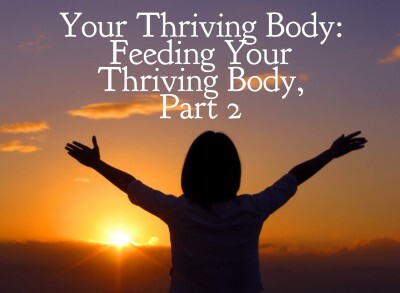 Listen below to hear about how to rest your thriving body (and you can catch up on the Thriving Body Series in the links below).